If you were able to log in to the Apple Online Store at 12:01 a.m. today, and preorder one of the new iPhones, consider yourself very lucky. The preorder process kicked off with a lot of issues, just like Apple's live stream of the keynote. Technical issues are almost becoming a norm these days. It wasn't until about 3-4 hours later in the early morning that the Apple Online Store was back up and running. Ordering online sometimes almost feels like falling in line at the Apple Store on the day of a big launch. But there were some ways to get around the agony. I had success by going to the AT&T website (my service provider) and preordering the new iPhone 6 there. AT&T seemed to have a better system in place. When you launched their website, it showed up a "when it's your turn this webpage will take you to what you're here for" page. The wait was about 7-10 minutes with the website automatically refreshing every 15-30 seconds. The Apple Online Store showed "We'll be back shortly" screen in hundreds of different languages. You had to refresh the page manually which would have been annoying too. But people were able to get in eventually in a few hours. The reason for preordering as early as you can, is to try and ensure an on-time delivery of the iPhone. The new iPhones are scheduled for delivery on September 19. The longer you wait to preorder, the later your delivery date could be. A little over 16 hours after opening for preorders, the shipping times for most iPhone 6 Plus configurations have slipped to 3-4 weeks which puts the delivery date well into October. Some iPhone 6 configuration are still showing up for a 9/19 delivery (Gold especially). 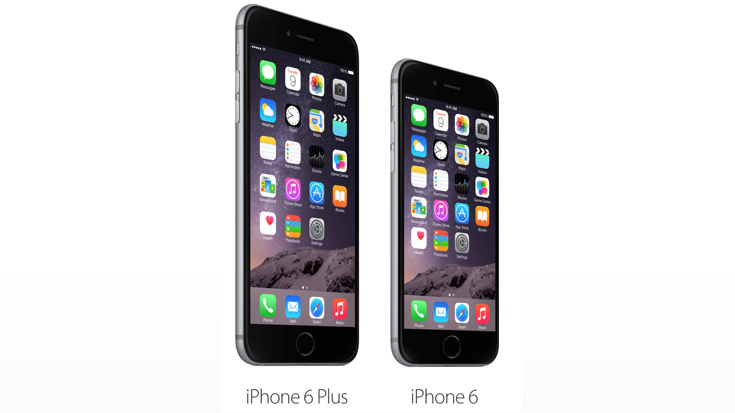 Most silver and space gray iPhone 6 models have a 7-10 day shipping delay. Those timeframes will increase even further as the hours tick by. If you want to get your hands on one of the new iPhones, head over to the Apple Online Store and try your luck right now. The alternative, of course, is heading to your service provider's website and trying your luck. Wait times at those websites are not known. Contract-free iPhones are available only through T-Mobile for now.